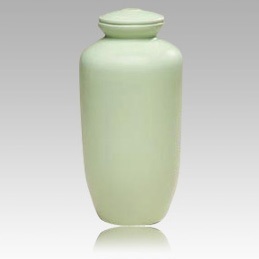 The Green Biodegradable Cremation Urn is hand crafted from unfired clay and painted with water soluble paint. The bio urn is made for sea burial and land burial and will disinigrate in water or soil. Designed to disintegrate in water in approximately 15 minutes.